When my daughters birthday was getting near I made the mistake of introducing her to Pinterest. I know crazy idea right, what almost 5 year old needs to know how to use Pinterest? The 5 year old who talks incessantly about her birthday party and has a mom that needs to get some work done without another question of what color balloons we would have. I just thought if I gave her the ipad typed in ‘birthday party ideas for girls’ and let her browse she could give me some real ideas what she wanted. BAD BAD idea. 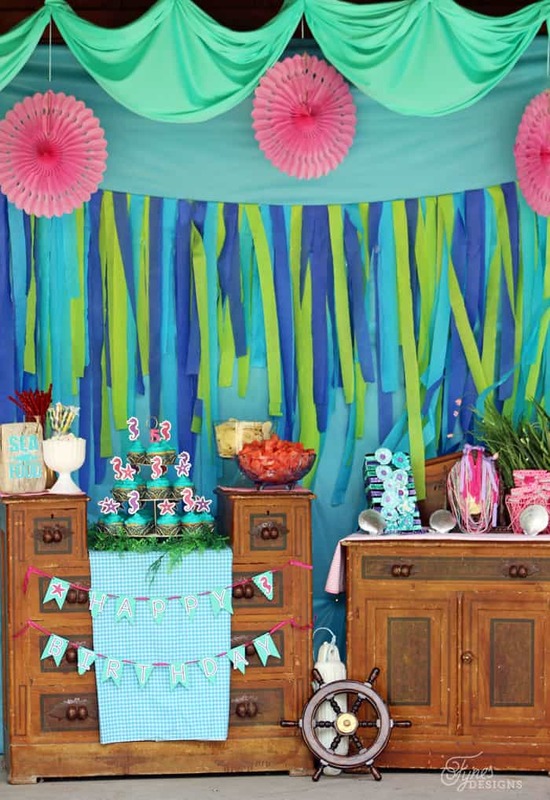 We wound up with a Mermaid Frozen princess ballerina swimming rainbow party. 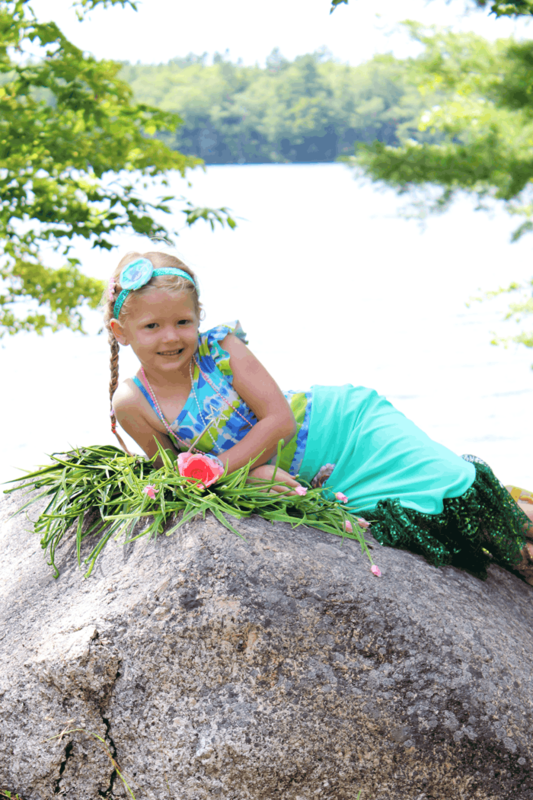 When I brought her back to reality and broke the news there would be no ice skaters at her party we narrowed things back down to a Mermaid party- with a light dose of sharks! It’s incredibly hard to plan a girly girl party with boys involved, we added a few sharks to the mix, it was the perfect combination! 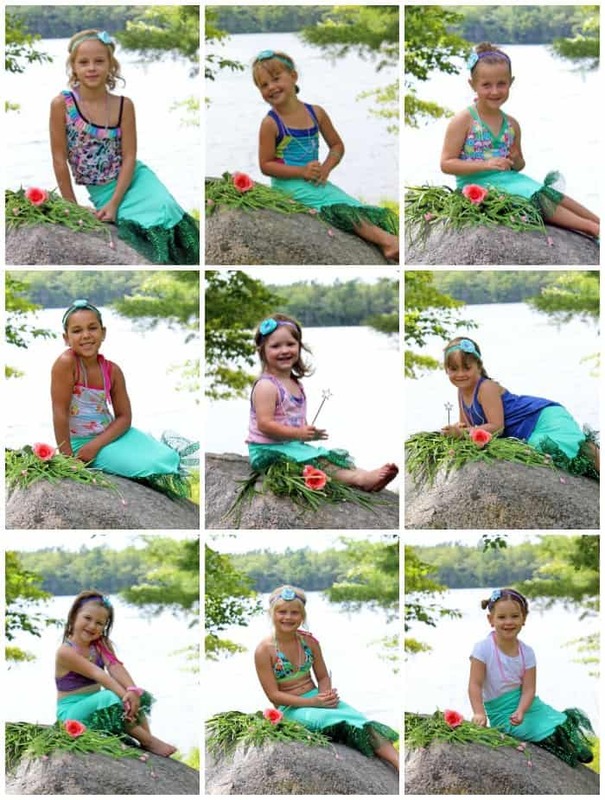 Each of the girls wore a mermaid skirt (pattern coming soon) ocean beads, a sparkly hairband, and a fairy wand. 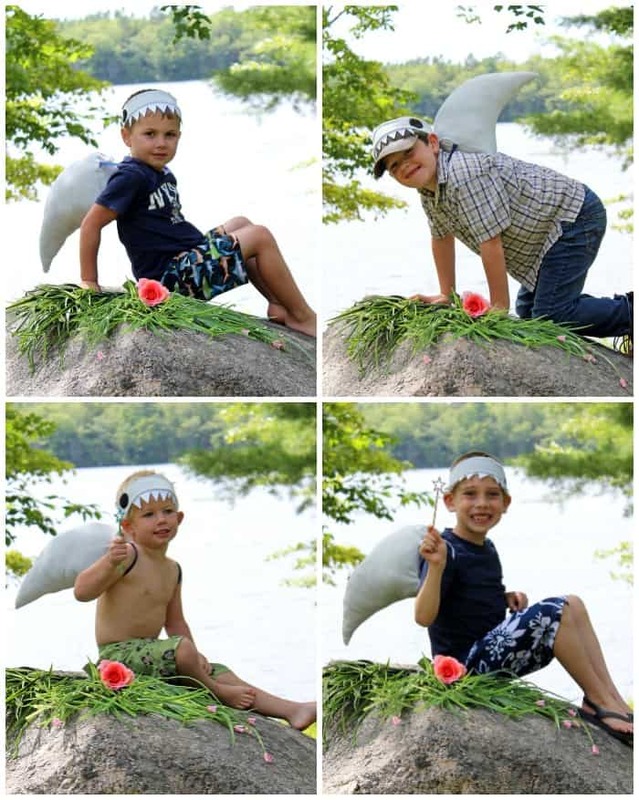 The boys each got a shark fin, and a dangerous set of teeth, kinda fitting seeing how it was shark week! I made similar bead necklaces with clay pendants for last years birthday party. They are always a party favourite with the little girls. 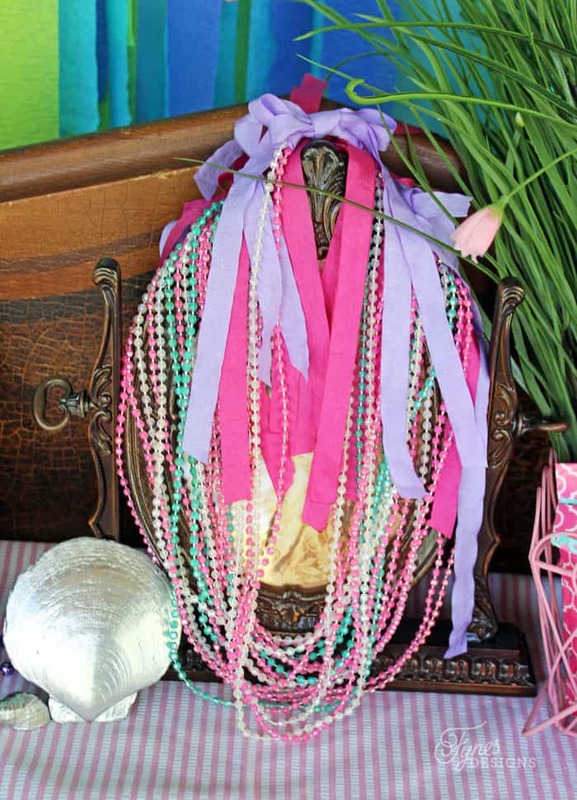 Super easy to make with May Arts String beads. The May Arts Glitter Elastic was perfect for the Mermaid hairbands too! All the girls wore Mermaid really well. Aren’t they the cutest?! The shark boys were fierce in their costume! Seriously, they chased the mermaids around all afternoon. 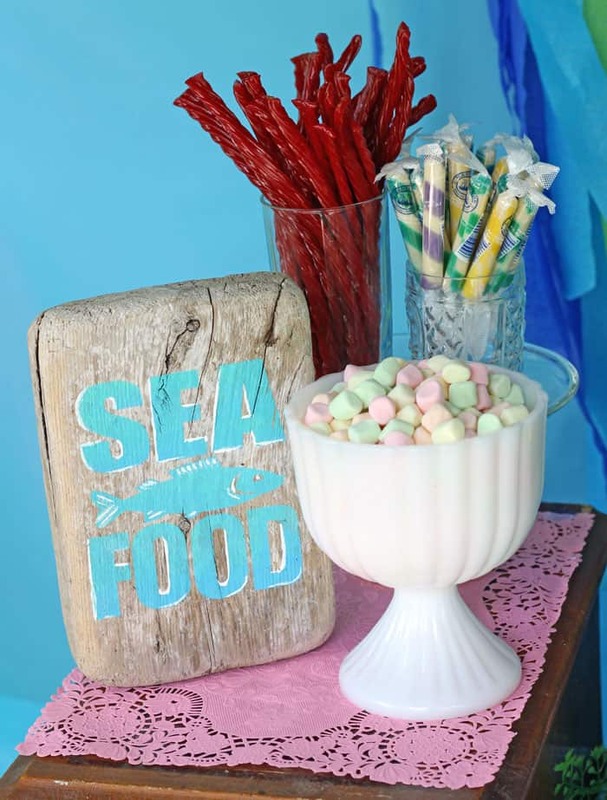 My mom’s lake house was the perfect location for a mermaid party. 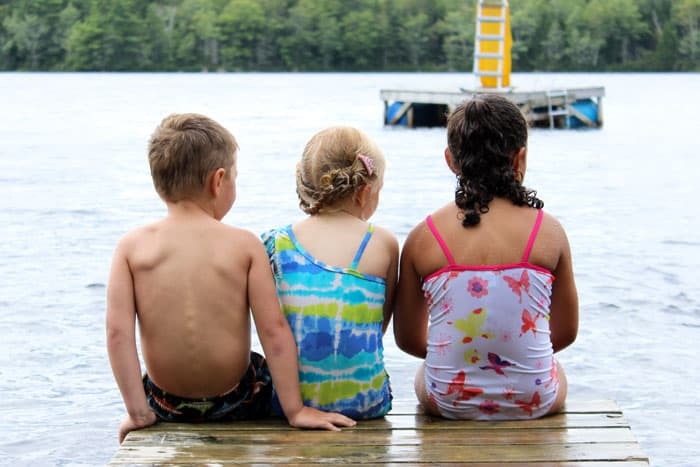 The kids got their fins wet in the lake, plus it made the perfect back drop for the mermaid photos. 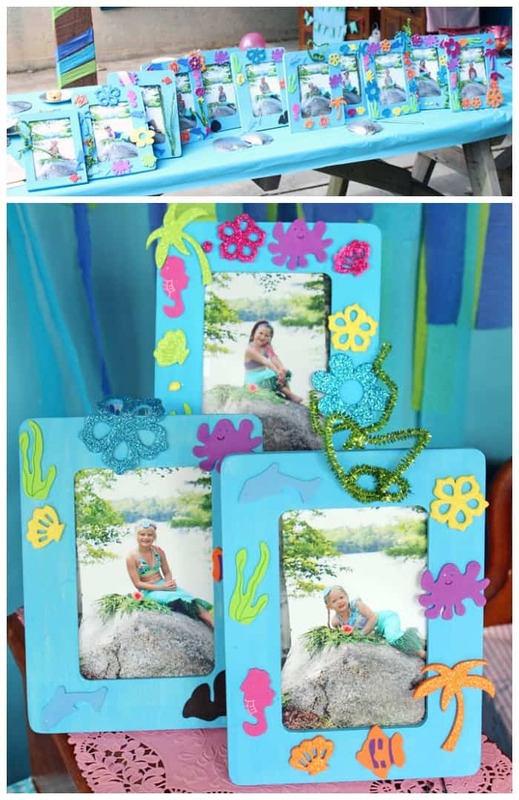 The kiddos then decorated wood photo frames from Michaels (that Mr. Fynes previously painted blue) with under the sea foam stickers and glitter green pipe cleaners. It was the perfect easy party craft idea. I borrowed a photo printer (which is totally on my want list) from my Aunt so the kids could take their frames home finished. The party food was quite simple as it was just after lunch. Just some of Ruby’s favourite treats liquorice, marshmallows, suckers, watermelon, and chips. 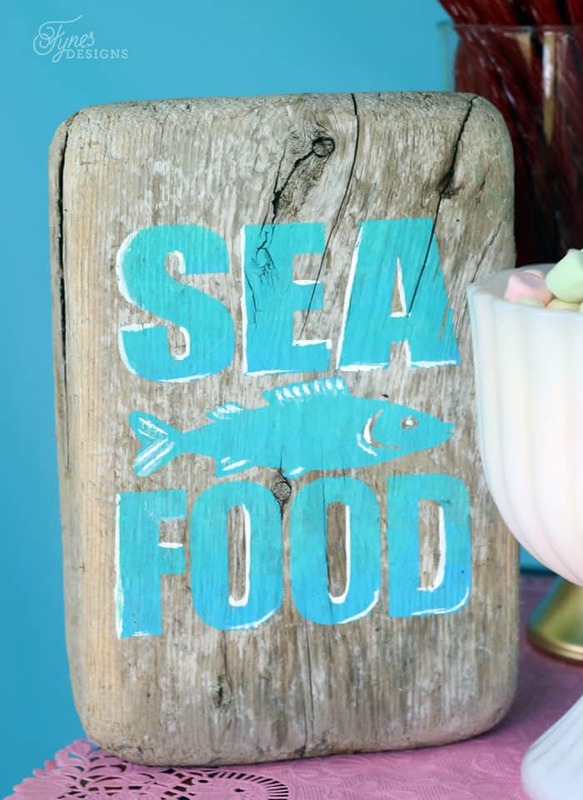 We’re lucky to live by the Bay of Funday, one trip to the shore to collect driftwood and clam shells was most of the focus for the party decorations. 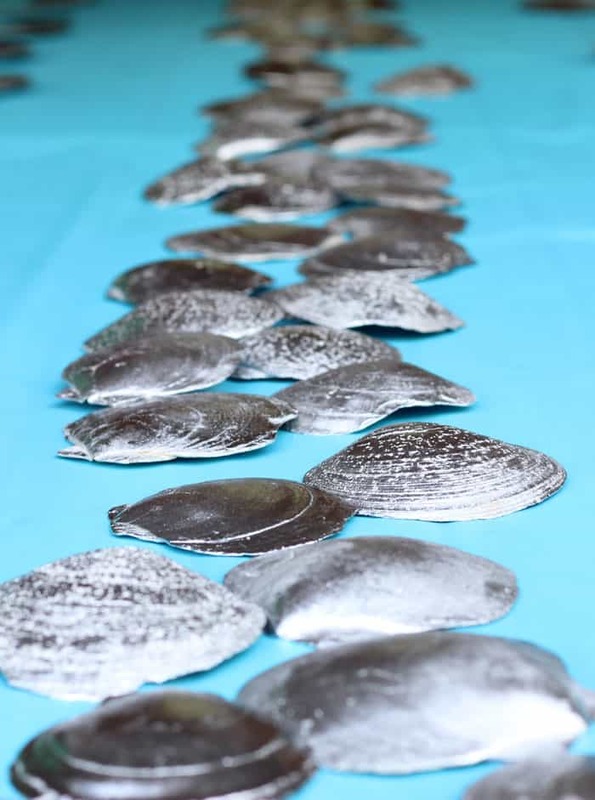 The kids had a lot of fun searching for clam shells when they dried out I sprayed them with Rust-o-leum bright coat Metallic finish. 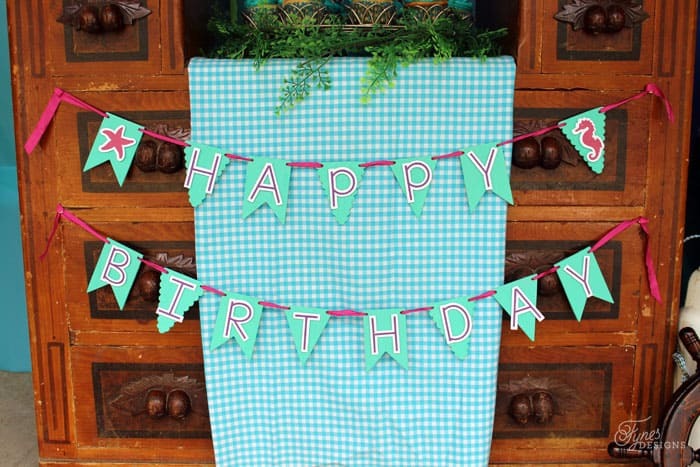 The little happy birthday garland was easily made with wood buntings I found at Michaels and letters I cut with my Silhouette Cameo. The glitter paper from DCWV gave it a special Mermaid touch. 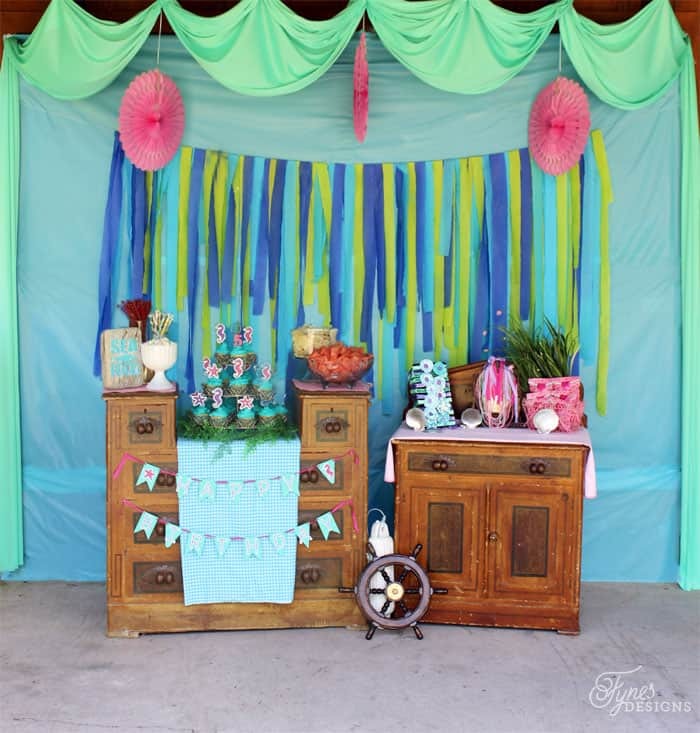 The Mermaid party back drop was so inexpensive to make. Blue plastic table cloths, a string with streamers hung over and the drape was leftover fabric from the skirts., which I got for a steal $1.99 a meter! However, steamers plus wind and humidity isn’t the best idea, I had to tape the underside of them down to get to stay in place. I was so pleased how the party went. 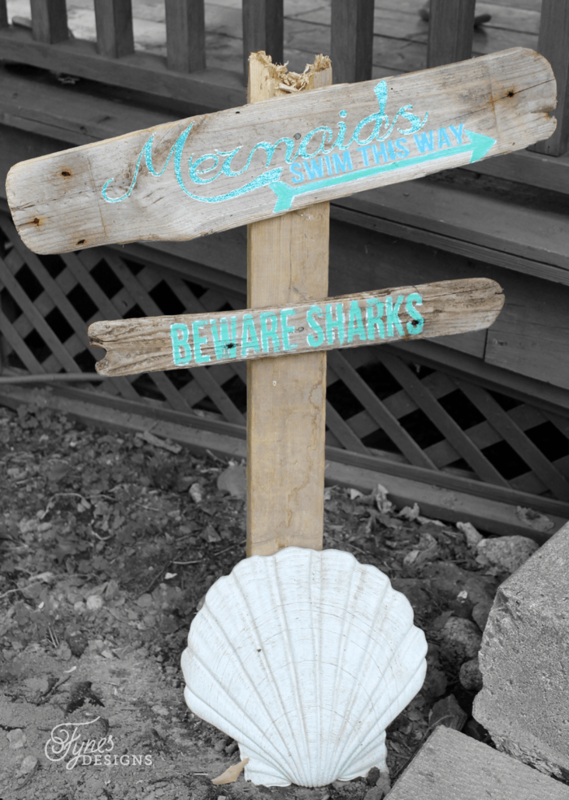 The kids really soaked up the Mermaid and Shark theme, the weather was perfect, we couldn’t have asked for a better day! Thanks to all the Mommas that brought the kiddos out! I am aghast at how FABULOUS this is! Can you come over and do up all of my parties, Virginia!?!? This is so wonderful and the details are just too much. The skirts!??! The shark costumes!?!? I’m totally in awe. I love it! wow, what a wonderful party Virginia. 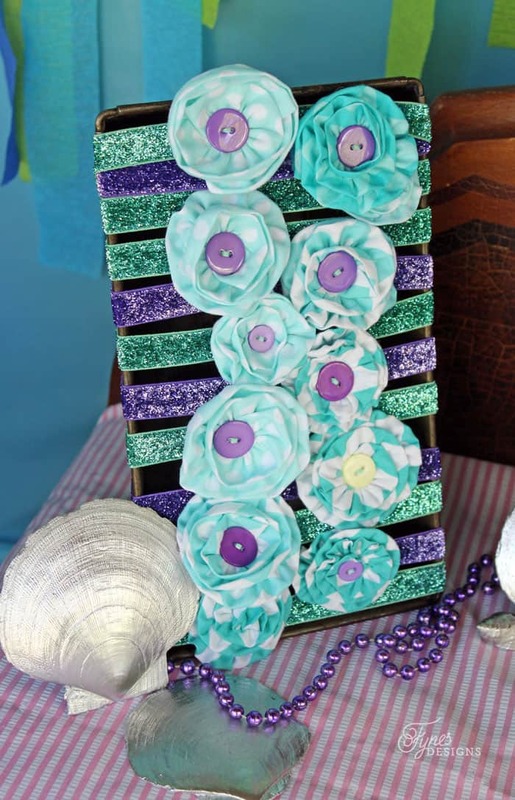 So many cute and fab ideas and so much attention to details, wow!!! I thought about making one for myself! ha Thanks for visiting! SO crazy adorable, Virginia! I love all of the colours and the little details. Thanks for linking to Motivational Monday. Pinned! I am soooooo doing this for Isla’s birthday! Never too early to start the planning!! Wonderful how you incorporated the sharks with the mermaids! Loved sending the photos home in the frames they made! This looks like such a fun party. I love the photos of the girls on the rocks. Thanks for linking up this week on #HomeMattersParty hope you will come back next week and link up again. What an adorable idea! I love the mermaid and shark costumes! Could you tell me how you maid the mermaid tails? Any info would be greatly appreciated. 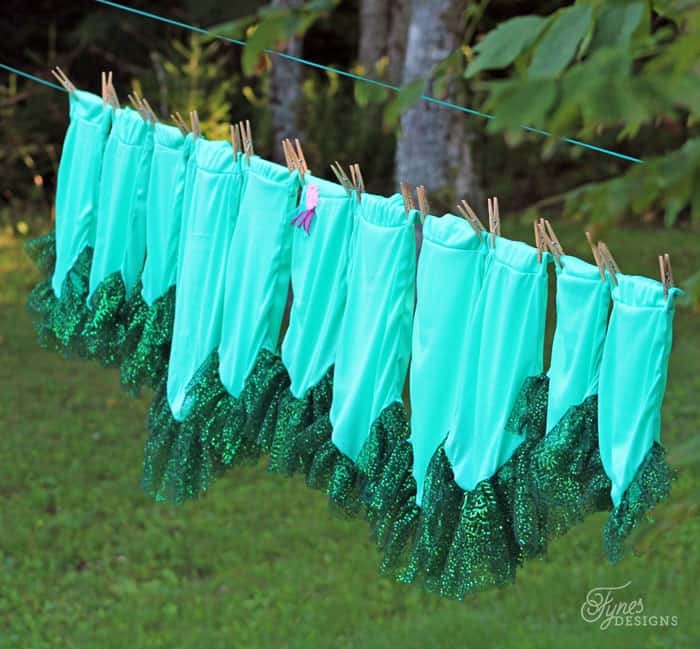 I’ve went back and added a link to the mermaid skirt tutorial post Heather, thanks for the heads up! Can you send me the link to the mermaid skirts? I can’t seem to find it. Thank you!